Can anyone put a date to this ? Think I went in once. The columns on the bar had match striking plates. They used to have them on the back of bus seats too. I can't remember anything about i, same with that pub just after the raillway bridge in wigan, only went in once and not a clue what it'[s like inside. Swan and Railway? Been in there a few times. 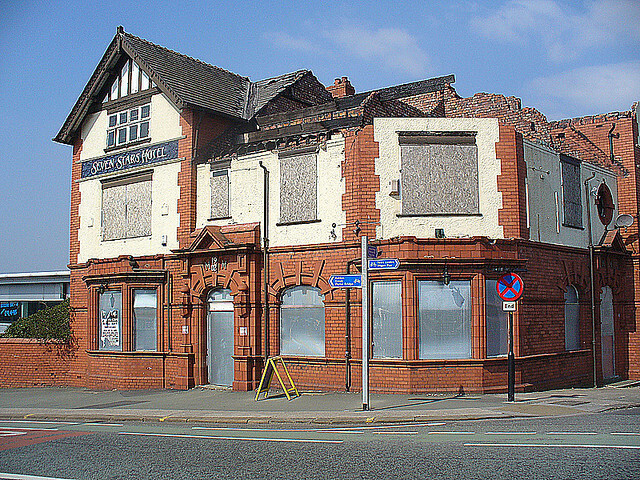 Was college day drinking, as was the brick on Woodhouse lane and the Whitesmiths (now the tapas bar). That's the one. The pub opposite the deanery is now a food emporium. Shoul be stopped now an gov't should cut the tax on beer and aid public houses. But times change and beer in supermarkets is cheap, £2.66 for a pint in my local compared with just over a quid in the supermarkets. Can't beat a decent pint and a chat with likeminded individuals though....And that's me in the house alone! The one next to the bridge at the Deanery was a Sam's bar at one point. 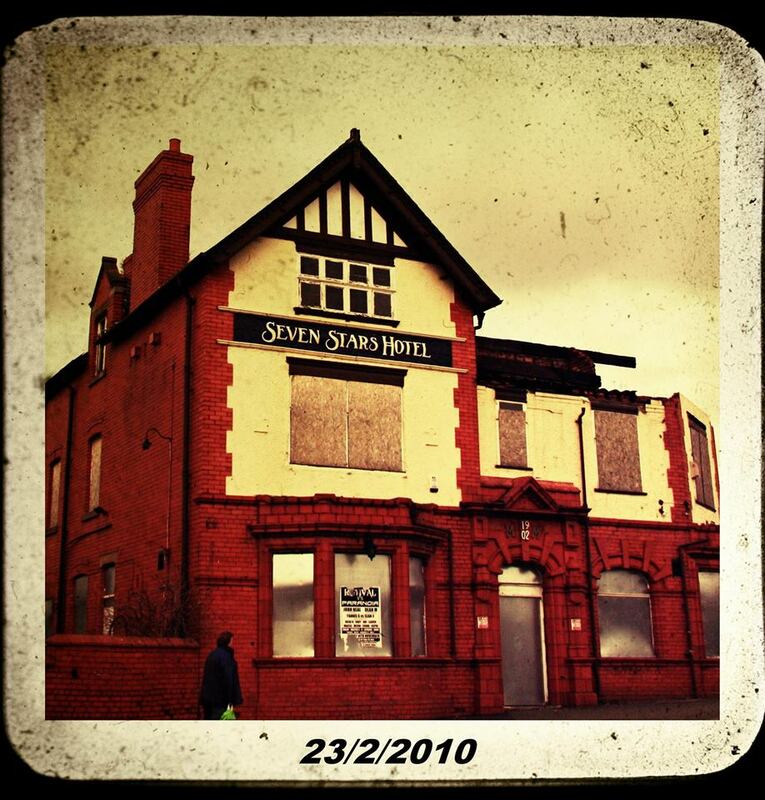 Shame the Tudor went. Is anything happening with that? Been a long time since I've been passed it to look. Think it's about £3 a pint up this end. @Corky Ringspot wrote: The columns on the bar had match striking plates. I had one of those ornate strikers from a pub and two from the old trains that were scrapped at Springs Branch burning area. I remember going past it on the top deck of the bus as a very young child. It always look very grand. I always thought it was a house that someone lived in. Did the Tudor ever re-open? I thought I read that it was due to not long ago. I drove past the Tudor 4 days ago and had a curious look. There was no sign of life. There was someone in (Well, the doors were open) at around 11am a couple of weeks ago, but it didn't look exactly open for business. So doo yoo remember the Seven Stars ? Doo yoo remember the Seven Stars ?